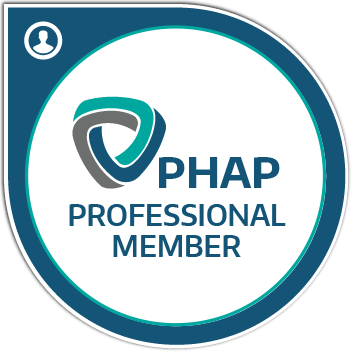 PHAP has partnered with both HPass and Acclaim to provide you with digital badges to showcase your membership and certifications earned from PHAP. With PHAP’s new digital badges, you can share your PHAP membership and certifications with ease! The badging platform allows you to share your affiliation and achievement with colleagues, peers, employers, educational institutions, and others. PHAP issues membership badges for all PHAP members in good standing and badges for certifications earned through the PHAP Credentialing Program. Update 1 February 2019: PHAP Credentialing Program badges are now issued both via Acclaim and HPass. These two platforms are complementary, and we recommend all certification holders to accept both badge invitations. If you were issued your Acclaim certification badge prior to 1 February 2019, you can send us a request to have your HPass badge issued. PHAP digital badges are your proof of membership or certification. With digital badges, you can easily showcase your achievements and capabilities on social media, emails, personal websites, and resumes. Digital badges protect the integrity of your credential by providing a link to verified data from PHAP that cannot be falsified. PHAP’s digital badges allow you to provide your peers and employers, as well as the crisis-affected people you serve, with easy, valid verification of your credentials, while positioning you at the forefront of this new technology for communicating professional commitment and skills. Learn more about digital badges from Acclaim, or click here to download the Badge Earner's Guide. What badges does PHAP issue? Issued for all members of the association in good standing. Read more about the PHAP Credentialing Program. Can I display my digital badge on my CV/résumé, email signatures, and across social media? Your ability to share your badge on social media sites, in your email signature, and on your CV/resume is one of the valuable features of a PHAP digital badge. Share your badge on Facebook, Twitter, LinkedIn, and XING from the Acclaim platform. Login to your Acclaim account on your mobile device and share your badge via Whatsapp or Facebook Messenger. Share your badge in email signatures to allow for easy verification for peers, colleagues, and employers. You can embed your badge on a website or include your badge URL in a CV/résumé. Can I get a printable PDF certificate? The badges can also be downloaded as a printable certificate in PDF format, which includes the verification URL. Click here for instructions. Why is badging better than self-assigning professional credential information on LinkedIn or adding it to an email signature? How does badging deter fraudulent claims of PHAP membership or certification? Representing your professional credential online as a digital badge through Acclaim is more secure and reliable than manually adding static credential information to LinkedIn or other online destinations because of the verification aspect. A badge can be easily verified, in real-time, through the Acclaim platform, which not only reveals the details of your achievement but also deters fraudulent claims of credential earning. Employers and clients can easily verify your credential. Once you share the badge over email or your preferred supported social media platform (such as LinkedIn), a viewer can verify its authenticity by clicking on the link that appears along with the badge. The viewer will be taken to the Acclaim platform where he/she can see the full details of your badge. What does it mean to have my badge published to a blockchain? To further strengthen the verification of your Acclaim certification or membership badge, you can publish it to a blockchain. Once published to the blockchain, a record is permanent and secure. Acclaim is an independent initiative backed by Pearson, a leading global learning company. Its focal point is an enterprise-class badging platform built in compliance with Mozilla’s Open Badges standard to support the specialized needs of credential issuers, employers, and professionals. The Acclaim platform provides a secure means of storage, transport, and credential publishing that adds a layer of protection against those who may falsely claim high-stakes credentials. Acclaim badges are only issued for certifiable achievements by credible organizations, including many other professional associations (such as the Association for Financial Professionals), credentialing bodies (such as the Human Resources Certification Institute), and major companies with certification programs (such as IBM, Oracle, Citrix, and Adobe). 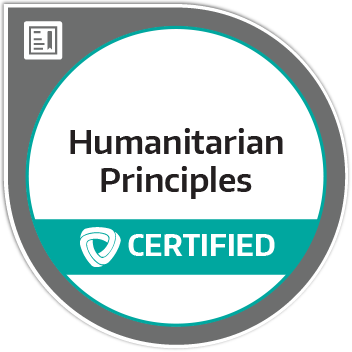 HPass is a new initiative focusing on professional development in the humanitarian sector. It is a digital platform where key players can meet: humanitarian workers and volunteers, learning and assessment providers, and employers. With HPass, any humanitarian, whether they be a volunteer or an experienced field worker, will have the opportunity to have their current experience recognised throughout the sector. HPass is also an opportunity for learning and assessment providers to join a global platform, sign up to the sector-recognised standards and provide digital credentials using Open Badges for both learners completing their courses and people whose competencies are being assessed. HPass will also be accessible by humanitarian employers, who will be able to search for individuals by their skills and experience. This will increase the speed and efficiency of recruitment during an emergency or to meet ongoing operational needs. Open Badges refer specifically to digital badges that adhere to an open standard for recognizing and validating learning. Open Badges are secure, web-enabled credentials that contain granular, verified information employers can use to evaluate an individual’s achievements. PHAP Digital Badges are Open Badges compliant and can be imported into other compliant platforms, ensuring compatibility with future initiatives in the humanitarian sector. No. Using Acclaim and HPass to store, manage, and broadcast your credentials is free for badge earners. Acclaim and HPass work with issuing organizations such as PHAP to offset any costs and to ensure you have access to best-in-class platforms. An increasing numbers of agencies, training organizations, and credentialing bodies are adopting the Open Badges standard. You can display badges in HPass from any organization that issues digital badges. You can display badges in Acclaim from any other organization that partners with Acclaim to display their credentials as digital badges. If you don’t want your membership or certification to be visible to the public, you can make the badge private. If you don’t want your profile to be visible to the public, you can make it private. If you don’t even want your certification or membership in the form of a digital badge, you can discard it. All information regarding you and your credentials can be configured within your HPass and Acclaim accounts. HPass, Acclaim, and PHAP take the handling of personally identifiable information (PII) very seriously. That's why the storage and sharing of data through Acclaim is encrypted using industry best practices. And it's always up to you to decide where and when to share your badges so you maintain control over your online professional profile. While digital badges are simply digital image files, they are uniquely linked to data hosted on the HPass and Acclaim platforms. This link to verified data makes them more reliable and secure than a traditional paper-based credential or certificate. If your question relates to the status of your PHAP membership, certification, or re-certification, please contact info@phap.org. If your question relates to any information on the Acclaim web site, please contact Acclaim support directly. PHAP will send you an e-mail notification. For more information, please contact info@phap.org. If your membership or certification(s) with PHAP expires, your digital badge will change to a “pending recertification” status. Once the grace period has passed, you will no longer be able to display a digital badge.